Whether you want a cutting tool or looking for something to defend yourself, the EDC knife is an excellent choice. It is usually light, compact, easy to carry and wield whenever you need so this class of knife is fairly popular. There are many products currently circulate on the market, you may have some trouble picking the right EDC knife to use. Purchasing a random knife will only result in a waste of money. 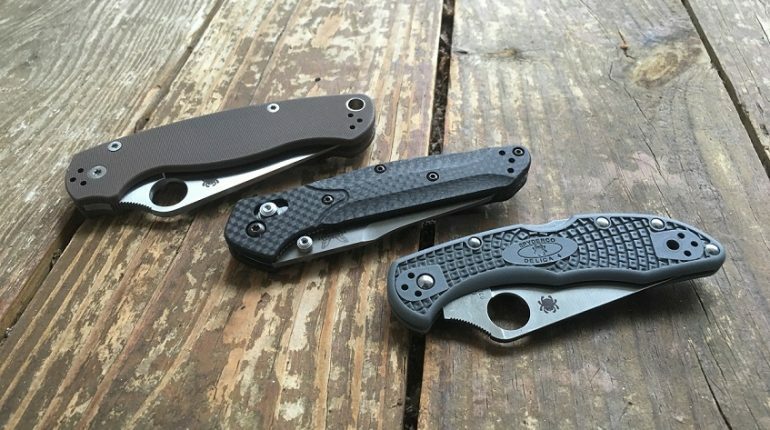 So if you truly want to check some of the best EDC knives around then this article got just the thing for you. As you may see right away, the P2 is heavier, longer and thicker than the 940 which also somewhat dictate their usages. If you intend to do loads of cutting, slicing or even chopping through many materials, P2 is your best bet. But if you only need an EDC knife for light duty tasks then the 940 is more than sufficient. The 940 slim and thin profile will fit the smallest of pockets compared to the considerably bulkier P2. So it’s pretty much come down to what kind of tasks you use the knife for and how frequent you use it. The P2 handle features a long and ergonomic design that matches well with the user’s hand and provide a convenient holding. It even got a finger choil in the forward position for you to better control and stable the knife. The scaling on the G10 handle is slippery resistant but not to the point that makes the skin feel uncomfortable. It’s generally bulky but your hand will have an easier time achieving a firm grip on it and applying concentrated fore. The P2 handle also utilize pillar construction so cleaning can be done quickly and effortlessly. 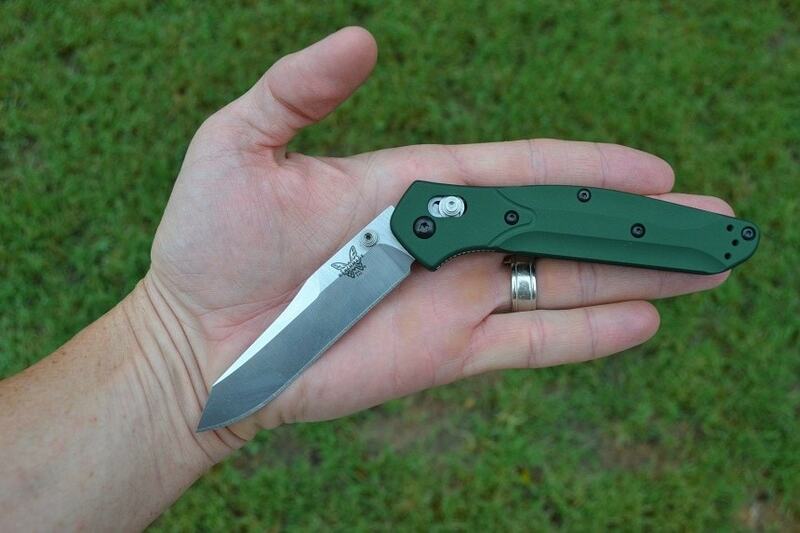 In the opposite, the handle of the 940 is rather thin so it’s slip in nicely into any pockets. But if you intend to use the 940 on tenuous, long hours and heavy duty task, your working efficiency will be affected. The handle still allows to you to get a good grip of it with four fingers though. So if you desire a portable knife for quick and short duration works, the 940 handle would perform admirably. It’s also worth noting that the 940 handle hold the knife blade very tight and secure in every situations. This is a major plus given that the blade is a medium size one. For a lock, the P2 EDC knife employs a compression which is a simple, robust and very reliable mechanism. When properly engaged, the blade will be locked tightly and securely to the handle till the lock is open. In the average uses, you will never encounter any failures using the lock unless the knife is literally disintegrated. This could barely happen under extreme working conditions so now you know how reliable the lock is. One minor downside is should your hand is a bit big, the lock may end up pinch your skin so be careful. The 940 utilizes an axis lock for its locking mechanism. 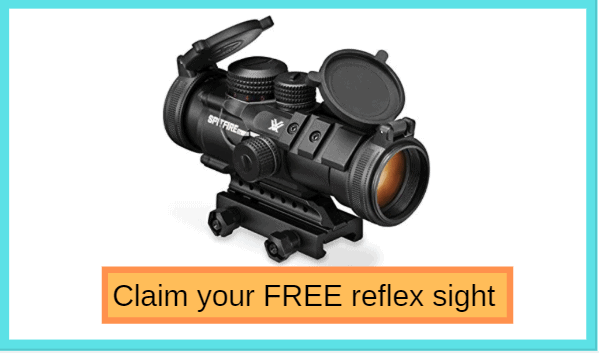 That is used to among the best design around until the birth of the Tri-Ad lock. Still, the axis lock toughness remains respectable among other locking designs. For a mobile EDC knife, the axis lock is very suitable given its lightweight. Powered by multiple omega springs, its operation is smooth and easy to control. The engaging and disengaging can be done in a blink of an eye and don’t require too much force. It’s friendly toward right and left-handed users so the lock is fully ambidextrous. Using either the S30V or the S90V, the blade strength of the 940 is excellent nonetheless. In accordance to its humble size handle, the blade is quite flat and narrow yet its performance remains great. While the blade is not really suitable for dealing with thick and hard materials, you can still achieve a lot. The limited profile of the blade makes the knife extremely versatile and flexible in unexpected situations. You can readily pull out the knife and use its blade at any task at a moment’s notice. 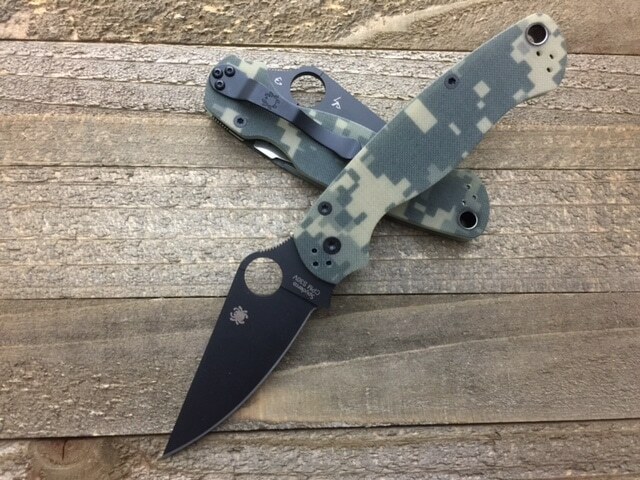 And that should most of what you should know about Spyderco Paramilitary 2 vs. Benchmade 940, very easy to understand, right? Each of the knives is unique on its own so in the end, it’s up to your preferences and needs. Ask yourself the ways that you are going to use an EDC knife and compare them with the products information. That is how you can make a wise and logical purchase.